When you have a water main leak, you need fast and intelligent leak detection solutions! In order to reduce the excavation cost and the water line repair, take advantage of our leak detection services. Reliable Leak Detection has the advanced leak detection equipment and training to find water leaks quickly and accurately. Slab leak detection refers to a slab-on-grade home with a leak. We specialize in finding the leak location and determining the most appropriate solution. Leak Detection service, whether its under your lawn, garden, driveway or parking lot, we’ll find it! In-wall leak detection -Got a difficult leak that you just can’t find? We have the required moisture meter, infrared camera, ultrasound and wall-scope camera equipment to minimize invasive procedures and maximize the accuracy of the location! Water usage reports -Don’t have a leak but need to determine how to save water? We have the engineering resources! 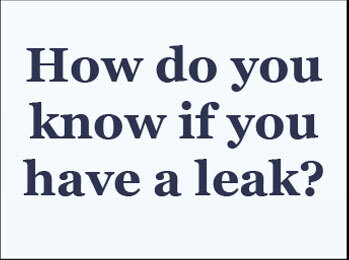 Leak Surveys -Have an extensive water system that’s leaking? Call us, with our engineering background and extensive equipment, we can help! Private utility locating -Whether its a water line, gas or electric, we’ll locate it! Radiant heat system leak detection is no problem for us! We utilize ultrasonic listening as well as our infrared camera to determine the location of your radiant heat leak. Insurance Claims -call for assistance on insurance claims. We can perform the leak detection and provide all the information you need for processing your claims. 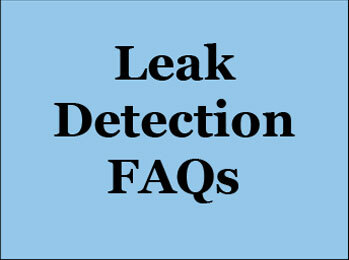 Why use Reliable Leak Detection? Quick Response, accurate and reasonably priced! We’re a locally owned, family operated business. 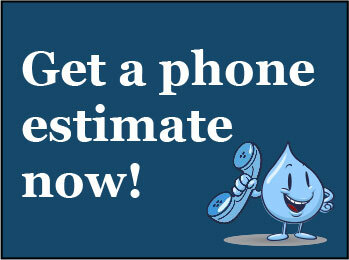 You’ll receive an approximate leak detection price over the phone. We use the latest and most advanced leak detection equipment. A four step process, which includes helium, is performed on every job (where site conditions allow) providing accurate results! 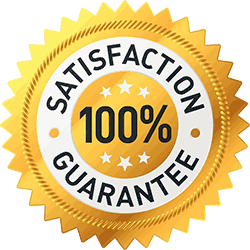 We have been trained, certified and are supported by both independent nationally recognized authorities in leak location and line locating. I have a plumbing business in N.KY and Greater Cincinnati and we regularly use Brandt and Reliable Leak Detection to find water leaks. They do a great job. Very reliable and honest company. Thanks! -Brady Jolly, Jolly Plumbing, Wilder, KY.
5 out of 5 Stars based solely on good business and trustworthy practices. I called today regarding a leak in my front yard and spoke with Brandt. He was very patient and took quite some time listening to my problem and asking specific questions in return. By the end of our phone conversation, Brandt actually told me that his company would not be of much use to me for various reasons, but he would be happy to help me find a good plumber. I was so impressed that he actually turned down business and directed me somewhere else. How many people are that honest these days? (Other leak detection companies I contacted wanted to “assess” the issue for $350). Brandt provided me with a plumber who he promised would offer a fair rate. He told me if for any reason I wasn’t happy with the rate the plumber asked, to call him back and he would be happy to provide other options. Very considerate. Although this company did not perform the work on my home, I will be referring them. When you have honest ownership, satisfaction with the service usually follows.